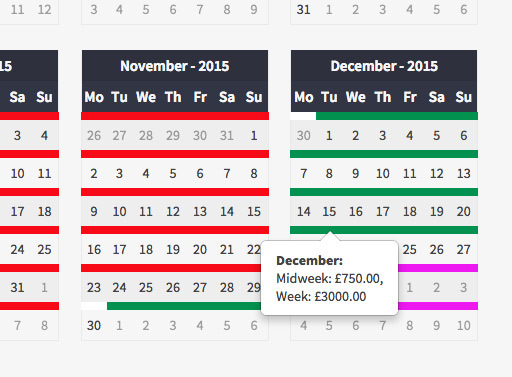 An easy to use, powerful booking management system coupled with a clean, stylish website. We don't offer 'templates' or a 'generic' site, we build bespoke frontends to show off our clients holiday properties and drive their businesses forward coupled with a powerful yet simple management system that allows property owners to maximise occupancy and optimise seasonal pricing. We make all our Scrumpy sites responsive from the start, this means they look fantastic across desktop, tablet and mobile meaning customers can book our clients holiday properties from the comfort of their sofa on the 'family iPad' (Dads iPad). Properties can be fully described to potential customers via slideshows, unlimited gallery images, floorplans, videos and more. We take security seriously, every client gets an SSL certificate to protect customer data as its transmitted, we monitor login attempts, and we employ anti-bot code to prevent junk enquiries. We use secure service providers and ensure we deal with sensitive data in a secure manner by using methods such as token payments and encrypted passwords. 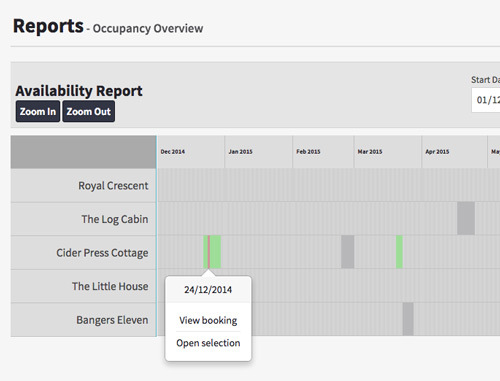 Scrumpy allows property owners to quickly make changes to pricing, block out dates and easily manage bookings. Management features such as the bookings working list allow property owners to view all upcoming bookings, bookings where the deposit is due and more. Payments against bookings are tracked through Scrumpy, automatic payment receipts are generated and emailed to the client and a CSV export of financial reconcilation data is available for accounting purposes. Scrumpy exposes data via friendly reports to allow clients to make business decisions, improve their customers experiences and maximise property occupancy - useful reports can show availability across all properties, the financial performance of each property over the year, the average feedback rating at each property and more. Visit tracking is built in and allows our clients to see an overview of their sites performance via comparison with the number of enquiries and bookings each day. 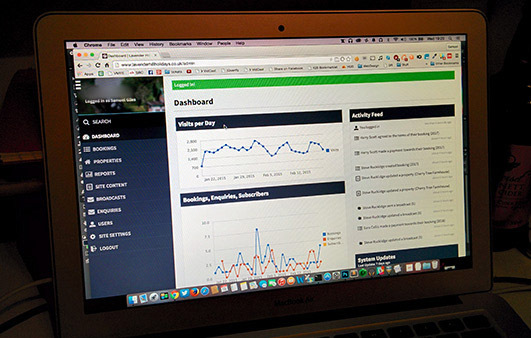 We've put together a list of dozens of ways Scrumpy helps to streamline holiday property management businesses. Last year we helped make over £2,901,605 of bookings - Let us talk you through our favourite ciders and explain how Scrumpy can make your life easier, impress your customers and help you grow your holiday property rental business.